I have not forgot about you Paul, as soon as I have something more scale ready I will let you know. I bought this some time ago and since I been watching what you have been building I like to give a scale one a try. John Burkam also did a tandem helicopter, I think it was called the tricky? 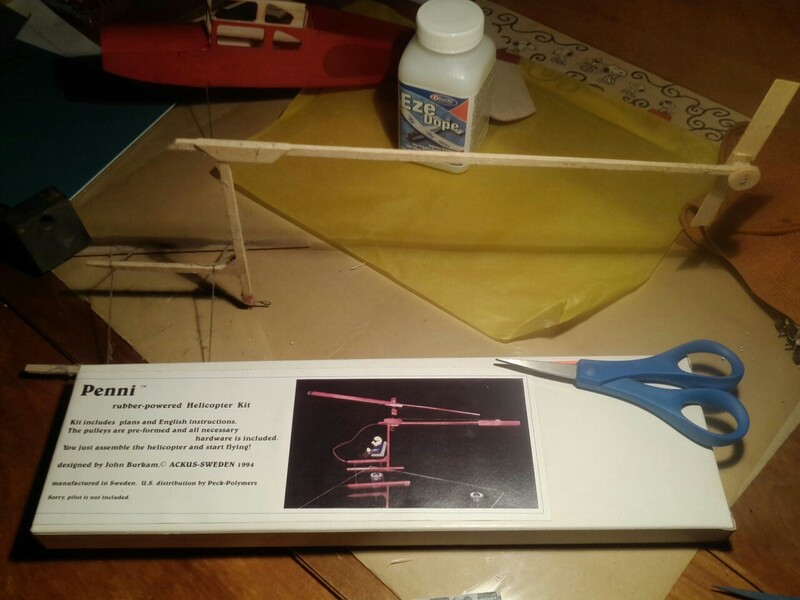 I saw a picture of it once, two gear boxes attached to a motor tube, front rotors had his gimble assembly and rear rotors were fixed, peck polymer sold it as a kit a one time, never seen the kit thou, I had built the penny many many years ago, I got it to fly, flights were short but neat, I just like scale models better and none were available so I had to build my own. I hope you get this to fly Paul. Dusting off this little model.